We are leading dealer for New built and second hand tugboats for last one decade associating with Japanese and Korean Shipyard and Marine Engine & Propeller manufactures. 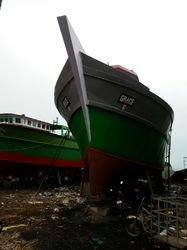 Steel & Fiberglass Traditional Fishing vessels. Length varying from 10 mtrs to 20 mtrs with Fish Hold capacity of 5 tonnes to 20 tonnes. We cater to the marine segment, as well. 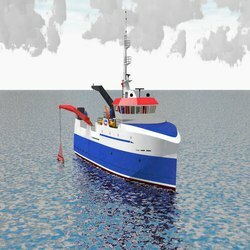 From powering fishing vessels for various types of fishing applications, like Trawling, Purse seining, Gilnetting, etc, they extend to meet customer specific requirements to power sailing vessels, Auxiliary drive-in vessels, passenger Launches, Ferries, Marine generating sets, cargo vessels etc.